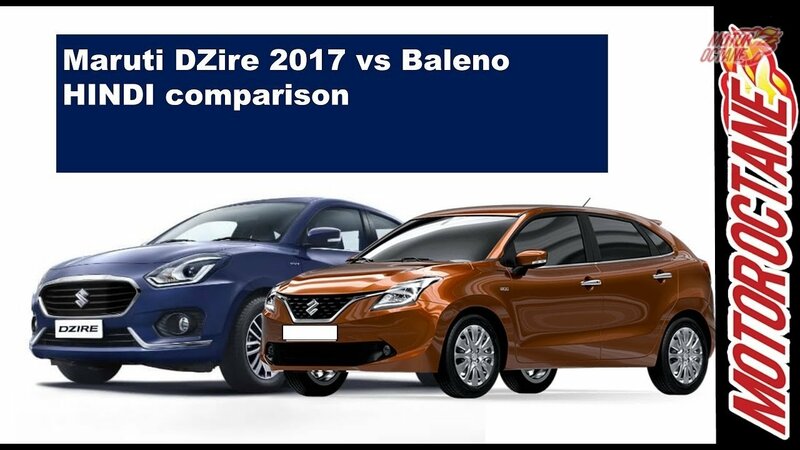 This is an exciting comparison, because both are different in size and shape, however many will look at both when making the final decision. 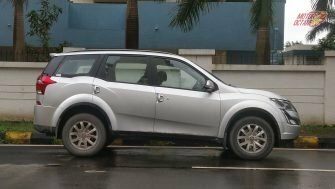 There is also the Mahindra XUV500, we aren’t including it as an update is soon expected. 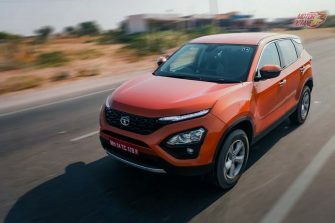 So, what do we expect from the Hexa and the Compass. 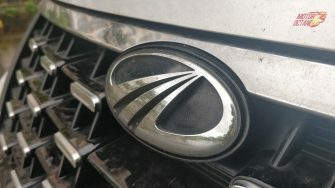 Both are promising products and the brands have a good number of loyalists. 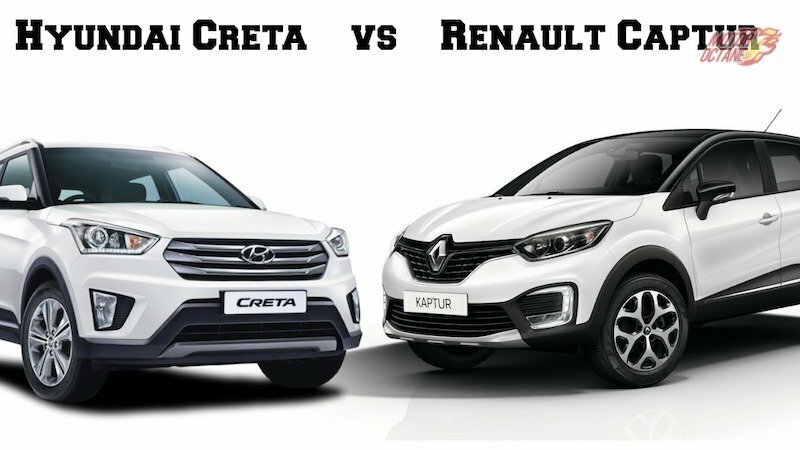 One is a crossover and the other a compact SUV, so which is a better choice for you? There are many aspects that have to be considered. Both have 4×4 capabilities and neither has low-range nor suspension raising option. 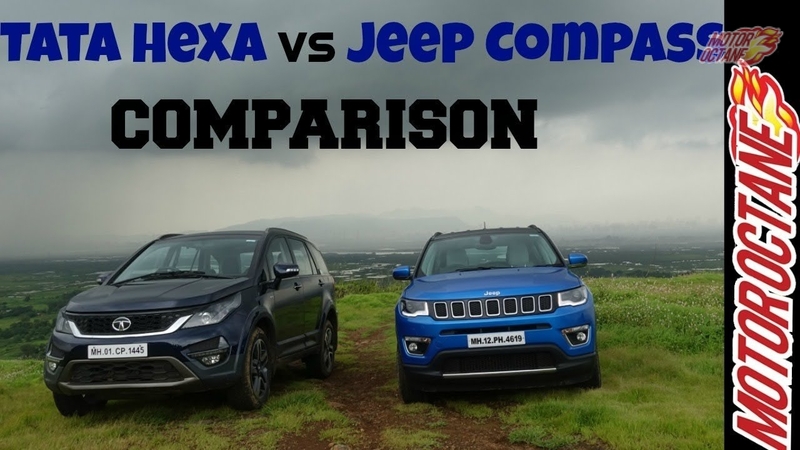 We do a detailed comparison of Tata Hexa vs Jeep Compass. 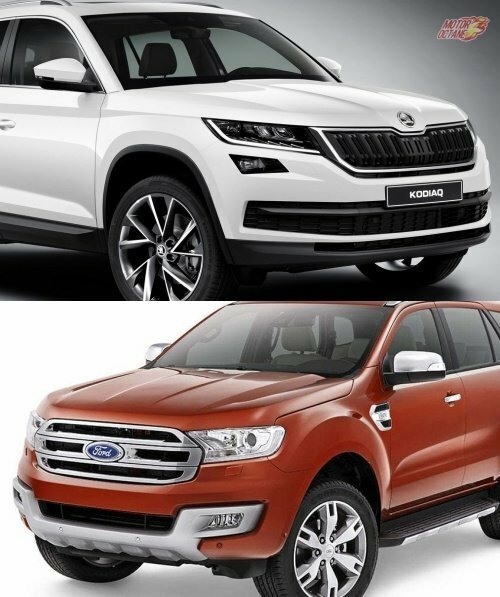 We have had multiple requests to review the two vehicles and this has been done on demand. We have been able to get many points that have relieved many important aspects of the two UVs. What are they? 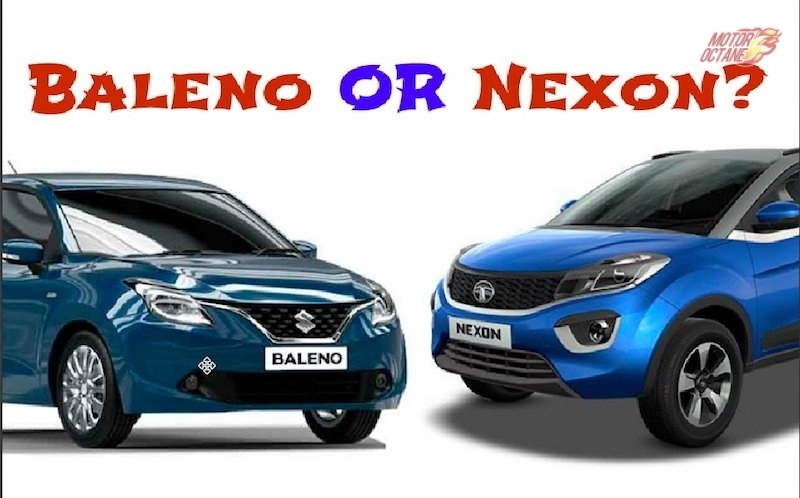 Which is the correct choice for you? Read further to know more. To begin with, design is a subjective topic. 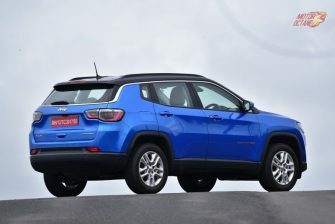 On one side the Compass is an all new SUV that is compact and boxy looking, which gives it good road presence. 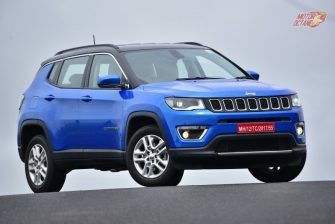 The Cherokee style front grille is carried forward on the smaller SUV. 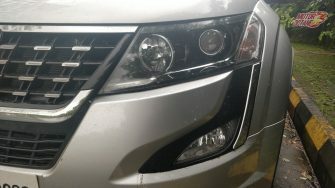 The headlamps are sharp and sleek. There are projector headlamps and daytime running LEDs. 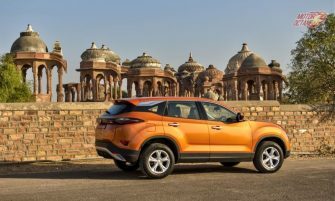 The side profile is boxy and SUV-like. This is what makes it rugged and makes it look stylish. The rear also melds well with the design. In overall stance it does look like a small premium Jeep. This SUV has been built on the Fiat’s SCA (small car architecture). This is the longer wheelbase version of the platform with 4×4 capabilities. 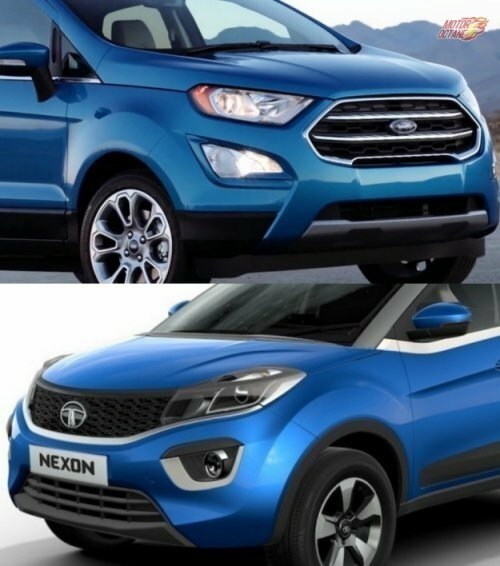 On the other hand, the Hexa is a crossover. It doesn’t have boxy styling. 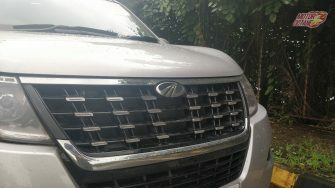 There is a large front grille that looks stylish. 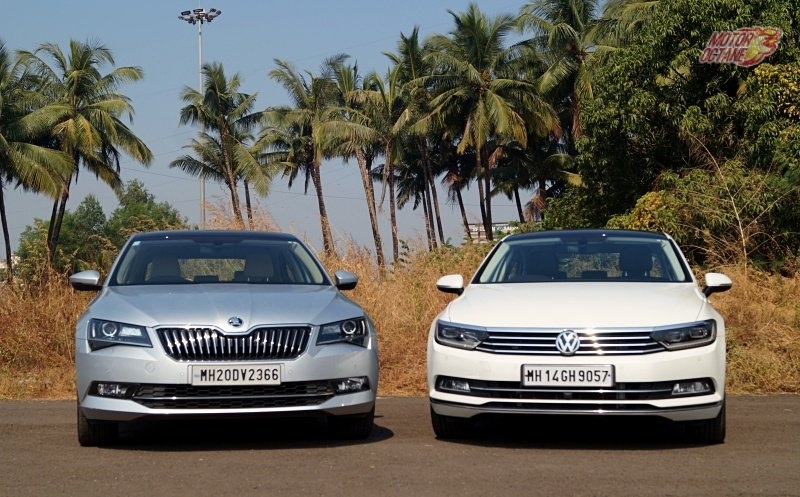 The headlamps are smoked out and there are additional daytime running LEDs as well. The side profile screams out Aria as there is a clear resemblance in the two. The rear is all new and some chrome has been added there. 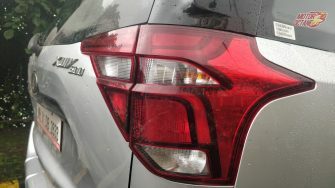 The rear even has new-shape tail lamps making it look different. 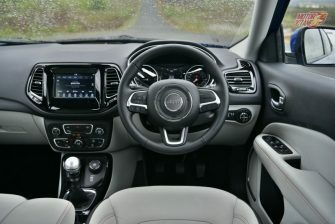 Jeep Compass has all-new interiors. These are black and ivory, which are offered on the higher variants itself. The lower trim has all black interiors. 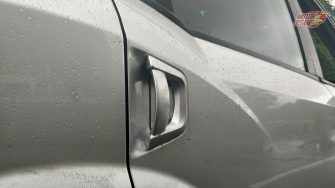 The build quality of materials is good and the door also shuts with a thud. 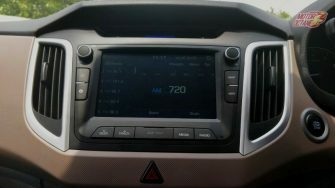 The look and feel of materials could have been better, especially the dash board. The leather feels rich and the steering feels good to hold. 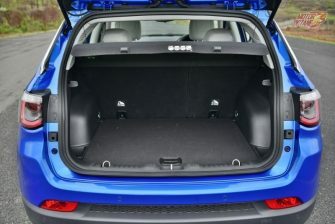 The space on offer in the front seats is good and there is more than sufficient support for back and side. The rear seats aren’t very spacious. The knee room is just fine for tall people. At the same time, the thigh support could have been better. This is more of driver’s car. The boot size isn’t very large and is just sufficient for a family of four for a weekend trip. Hexa’s interiors are also based on the Aria’s skeleton. This is evident. 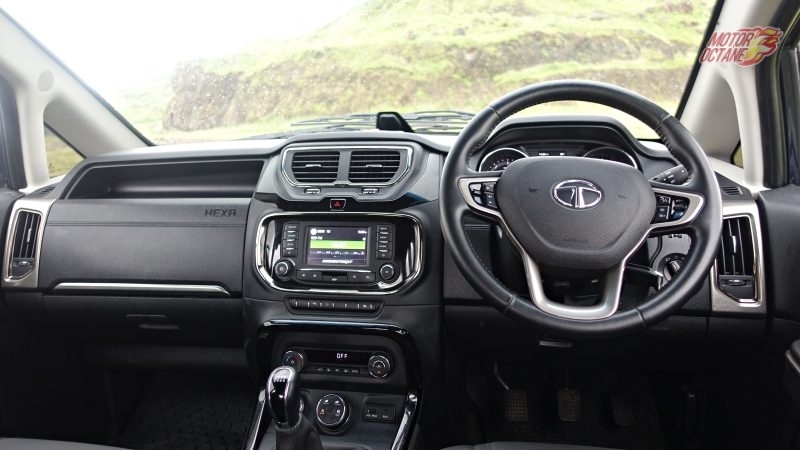 The typical Tata steering wheel is on offer. 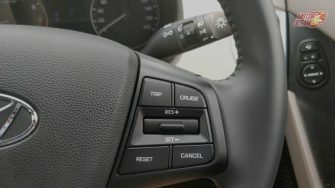 The dashboard layout is simple and is all black. The front seats are large, comfortable ad supportive. 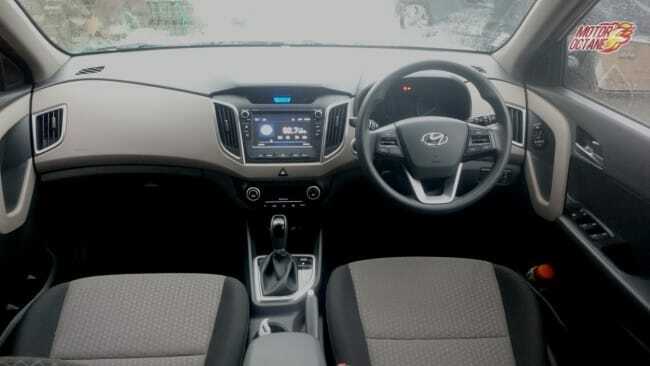 The second row of seats are also comfortable offering a lot of space for head and knee room. There are two options here, either to get captain seats or a bench. 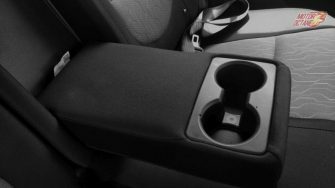 The captain seats do not fold making it difficult for rear passengers to access the third row of seating. For captain seats, getting into third row is a bit tight. The third row isn’t very spacious, knee and head room are tight for tall people. It is good for short journeys or kids. The boot is very small when all the three rows are raised. There isn’t a major difference in the features on offer in the two. 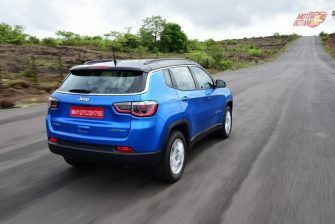 Jeep Compass has a 2.0-litre diesel engine that churns about 170bhp of power and 350Nm of peak torque. 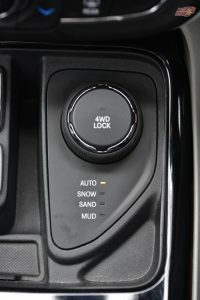 This comes with a six-speed manual transmission. As the Compass is lighter it has better performance, though we wish the low end power was good. There is a sudden urge of torque, especially when we it crosses 2000rpm. 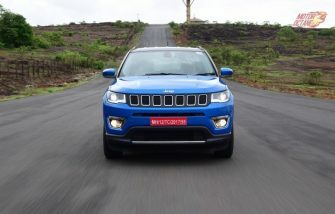 The other important aspect of the Compass is its performance on the highway. The engine has more than sufficient grunt in it and it shines on the highway. 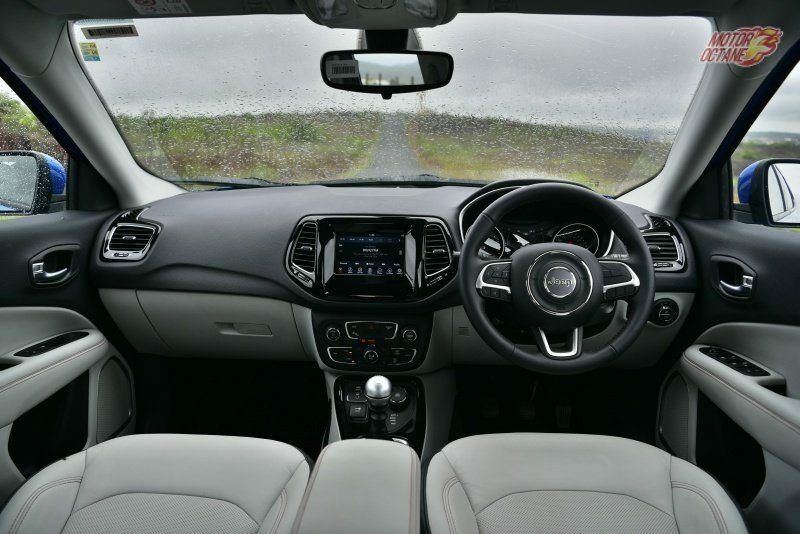 Overtaking isn’t very difficult on the Compass and in some cases it needs a downshift. The shifts are smooth too. The engine is noisy but there isn’t much of noise inside the cabin. 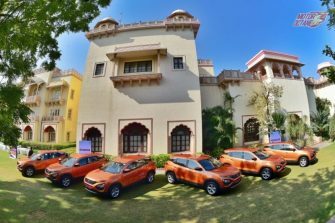 The Hexa on the other hand has a 2.2-litre engine that churns about 155bhp of power and 400Nm of maximum torque. 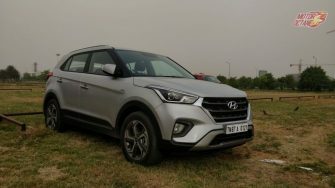 The engine has decent low end torque and despite the weight, it moves swiftly. 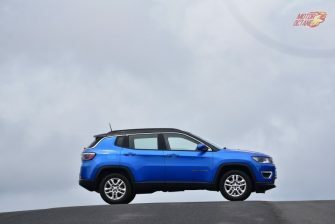 Even though it cannot be compared to the Compass, it has good drivability. The gearbox was notchy when we had first driven it, now it has become smoother and even the clutch is light. Driving in city and even the highway is comfortable despite the length of this vehicle. The engine pulls cleanly and to overtake one needs to downshift. 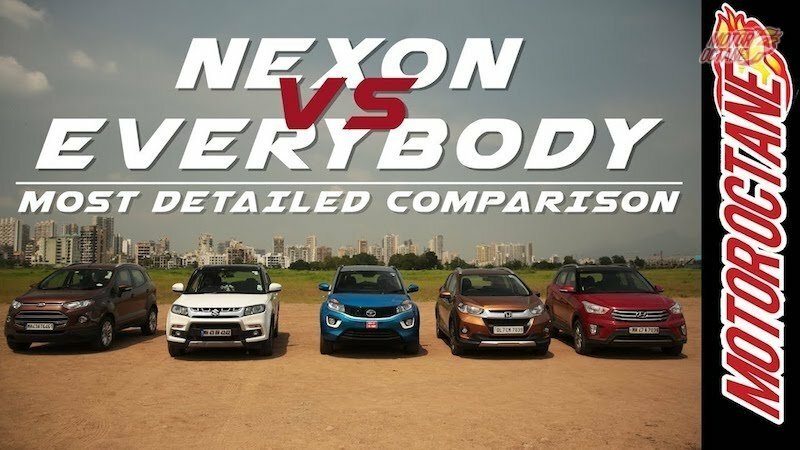 Apart from this, the Hexa has good performance. 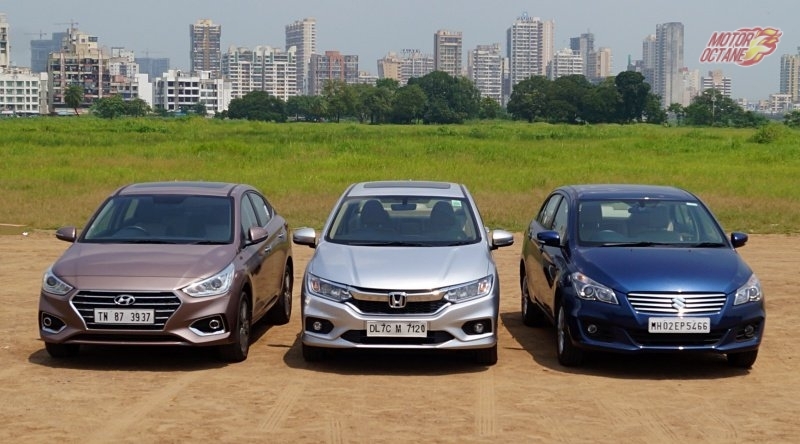 Of the manual and the automatic, we love the automatic variant for sure. There isn’t a major difference in the mileage of the two vehicles. 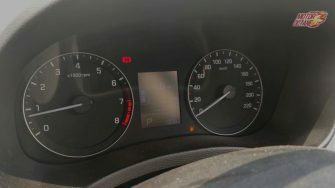 They should return about 10-11km/l in the city and close to 14-15km/l on the highway. We are talking of the manual transmission. 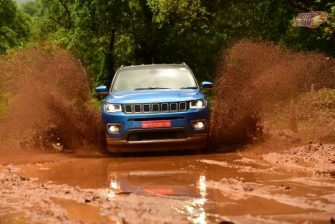 Jeep Compass has amazing handling. It is very quick around bends and fun to drive. 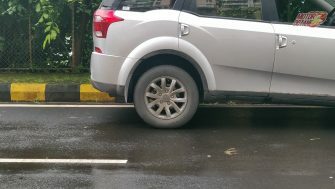 But the A-pillars are thick and this affects visibility on winding roads, especially the narrow ones. The ride is a tad stiff to enhance the handling. 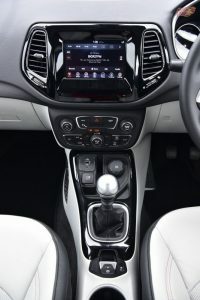 The steering feedback is also good enough on the Compass. 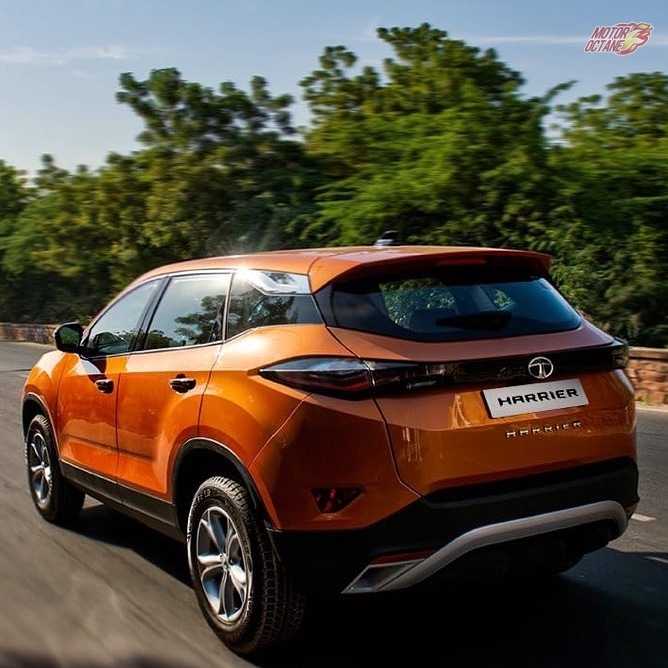 On the other hand, the Hexa offers the best-in-class ride. 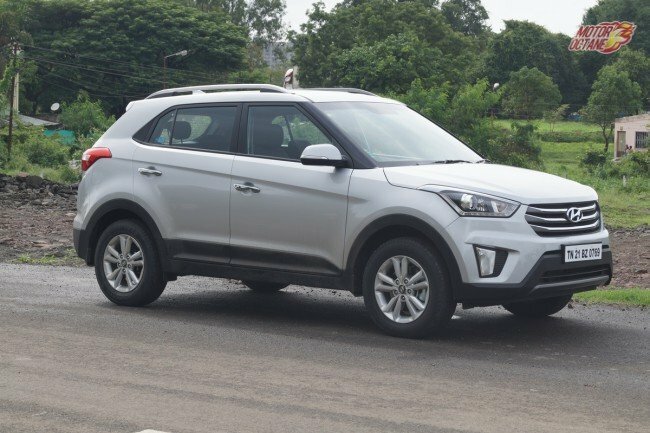 Surprisingly even with 19-inch wheels most of the road shocks are absorbed by the suspension and it glides over bad roads. 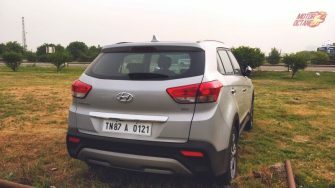 Apart from this, the Hexa even has good handling. 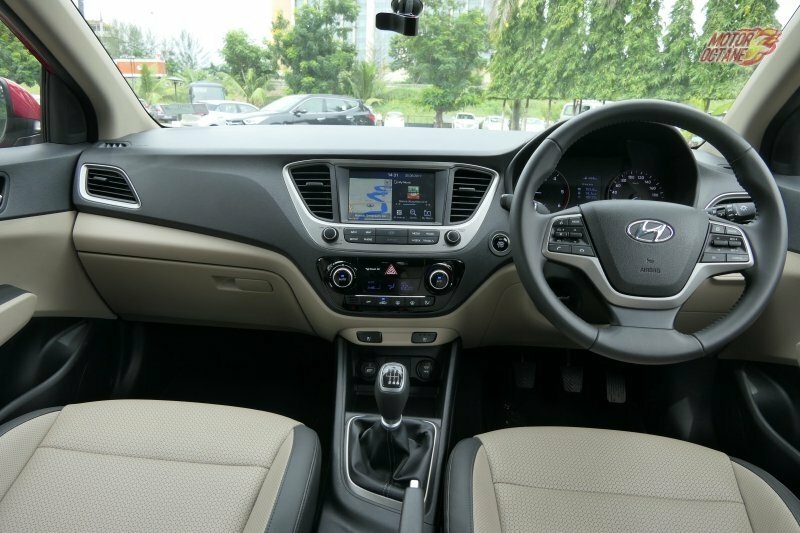 The steering is light and easy to drive in city, though it doesn’t feel very nimble at city speeds. This is a close tie between the two. Jeep has better off-road capabilities. It is the brand name that counts. If this is what you thought then you are in for a shock. This isn’t a hard-core off-roader. It doesn’t have low-range gearbox so its a soft roader. 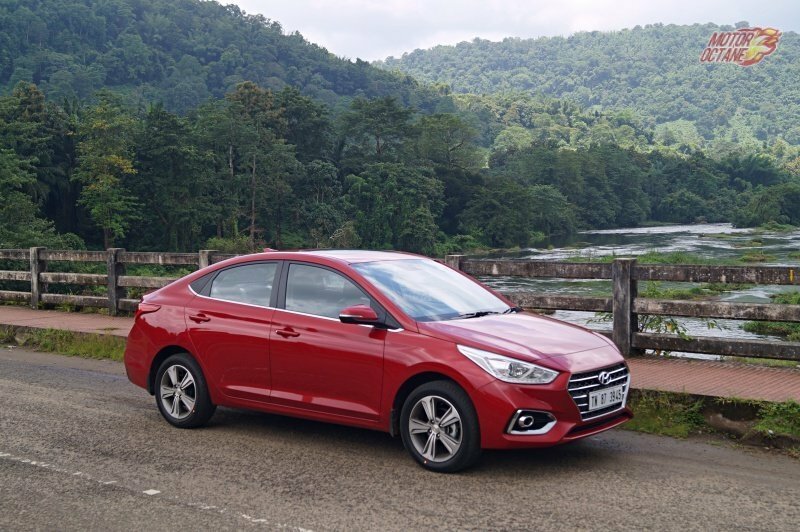 It does well on most of the turfs and even the Firestone tyres offer good grip. But then the ground clearance is an issue. 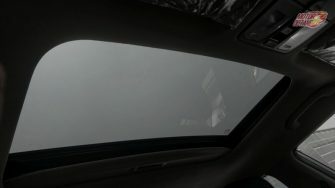 With three to four people in the car, it tends to bottom-out. 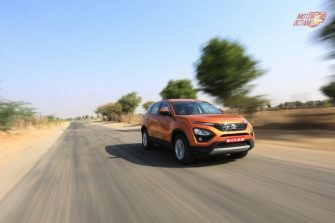 We were surprised to see the Hexa climb uphill off the road without any struggle or even scraping the underbelly despite the long wheelbase. 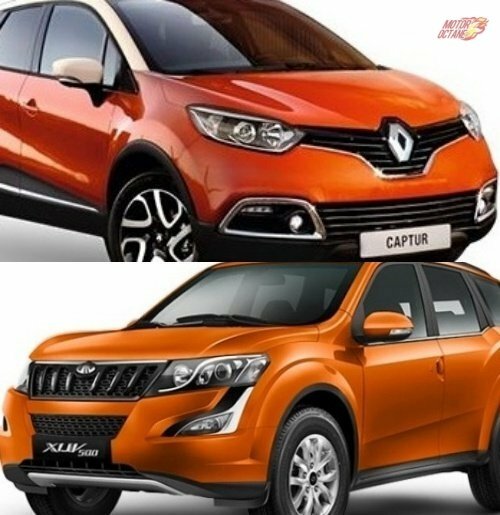 Both can go off the road unless its big size rocks or difficult terrain. 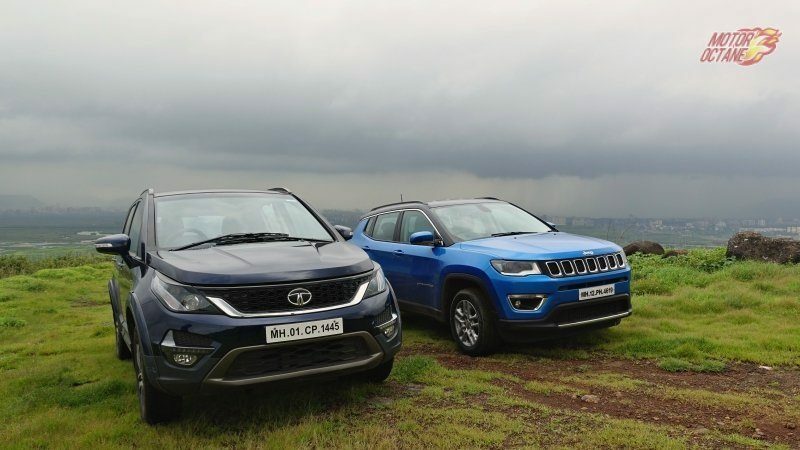 Both are strong products in their domain and Tata and Jeep have built excellent products. 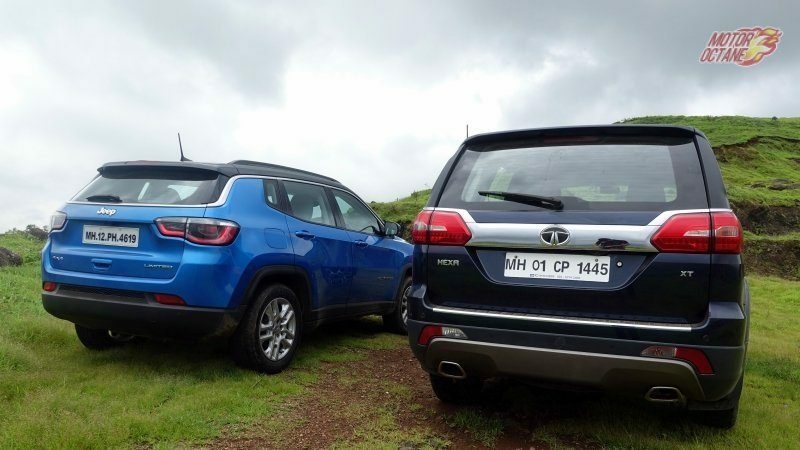 One is a compact SUV and other a full-blown 7 seater UV. Too close until we take a closer look on the pricing. 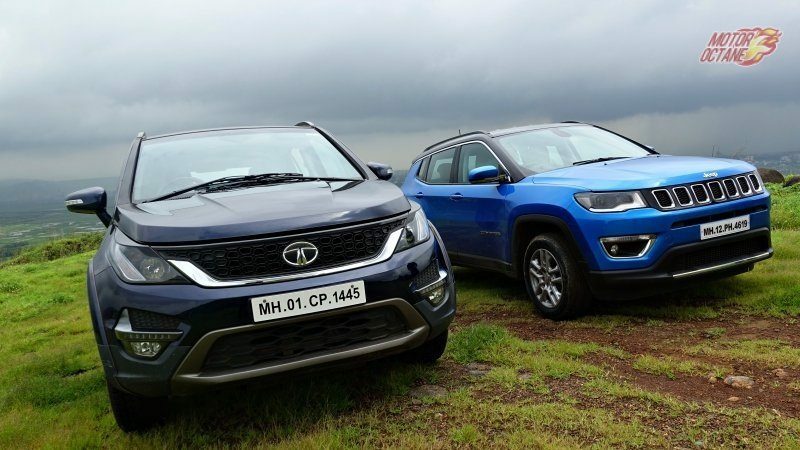 The Hexa is about INR 19.7 lakhs (on-road, Mumbai), while the Compass Limited (O) 4×4 comes at INR 24.7 lakhs. 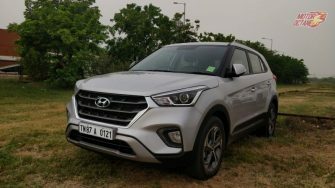 This makes it about INR 5 lakhs more expensive than the Hexa. So Hexa is a better value for money. 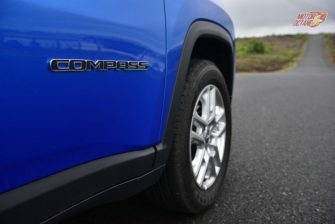 The Compass has about 30% import of parts, which makes it more expensive. For a regular buyer, what is more important is the final price though. 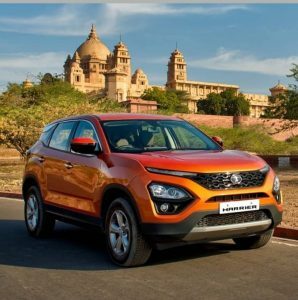 At the same time, if you need sometime compact and premium, Compass is the best offering, cheaper than the Tucson and the Yeti – if you remember it. 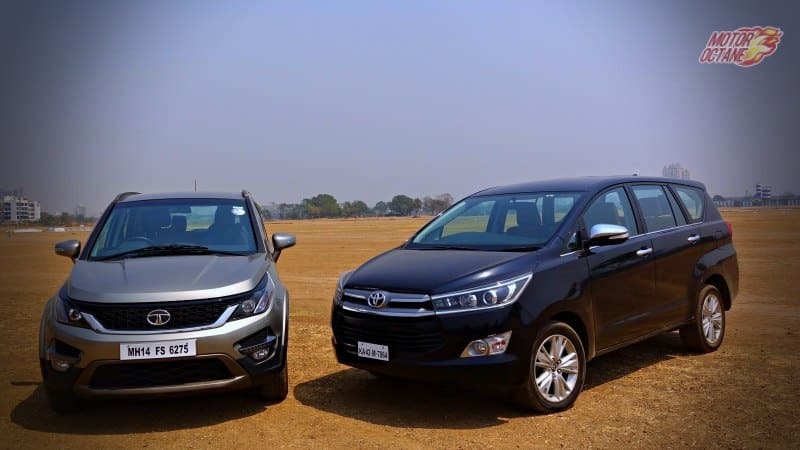 The Compass is an excellent offering but in value for money, Hexa inches ahead by miles. If Jeep had a stronger dealer network, it would have moved ahead of the Hexa. Need to book one for yourself? We can help you for Mumbai, Delhi, Pune, Bengaluru and Hyderabad also. 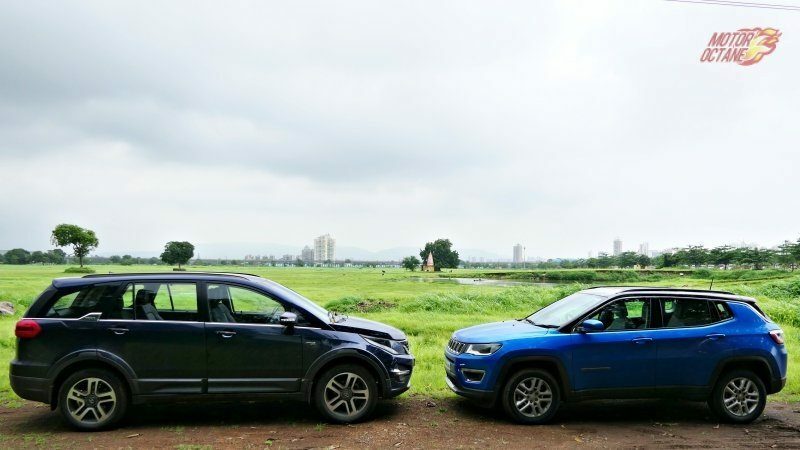 Tata Hexa vs Jeep Compass is a close call between value for money and premium-ness. 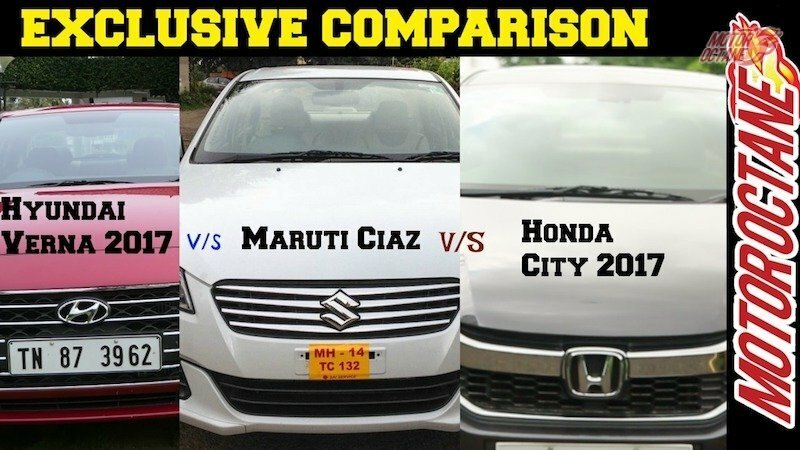 We do a detailed comparison of the duo and tell you, which is a better choice of them. Read further to know more.